In 1905, the Industrial Workers of the World labor union was formed in Chicago. The I.W.W. promoted the idea of one big union for all workers, unified as a social class, and allied in a struggle against the employing class. The union's ultimate goal was worker solidarity and the overthrow of the employing class, and replacing capitalism and wage labor with "industrial democracy." The I.W.W., whose members were known as "Wobblies," was created by militant unionists, socialists, anarchists, Marxists and others who believed that the majority of workers were being exploited. The I.W.W. was also unique among labor unions in that it accepted as members all workers, including women, immigrants and minorities. Within 10 years, I.W.W. membership reached more than 150,000. In its early years, I.W.W. workers staged more than 100 strikes across the country, many of which turned into violent riots, with deaths on both sides. Federal and state governments and business owners fought back against the Wobblies, seeing the union as a serious threat to capitalism and the free market. During this time, the notoriously anti-union, open-shop city of Los Angeles saw its share of union activism and violence. 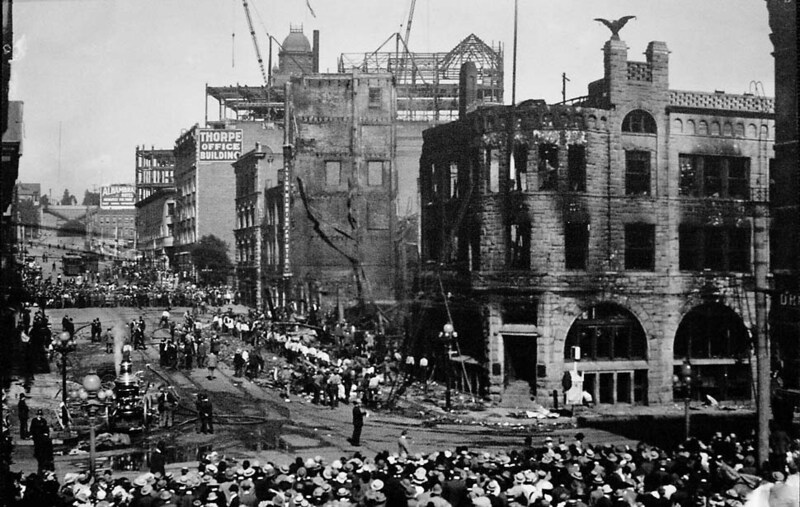 In October 1910, members of the Iron Workers Union planted a dynamite bomb at the Los Angeles Times, which killed 21 newspaper workers, injured more than 100, and destroyed the Times building at First Street and Broadway. The next day, a bomb was found at the home of Times publisher Harrison Gray Otis, and another at the home of the president of the anti-union Merchants and Manufacturers Association. Two months later, on Christmas Day, the anti-union Llewellyn Iron Works on North Main Street was bombed by union organizers. From 1915 to 1917, the I.W.W. organized more than 100,000 migratory farm workers in the Midwest and western states, signing up members in farm fields and rail yards, where the farm workers often hopped freight train boxcars to travel to their next job. During this time, especially in California, with its large number of farm workers, the Wobblies became synonymous with the hobos riding the rails. At its convention in November 1916, the I.W.W. passed a resolution against U.S. participation in World War I, stating that war is a battle between capitalists in which the working class on both sides is sent to the battlefields to fight and die. The union's anti-war stance made it extremely unpopular with many Americans, who saw the Wobblies as anti-American, Marxist and violent anarchists. A few months after the U.S. entered the war, one of the I.W.W. 's most outspoken war opponents was lynched in Montana. Across the country, I.W.W. leaders and members were arrested and charged with conspiracy to hinder the draft, encourage desertion and intimidate others in connection with labor disputes, under the new Espionage Act of 1917. As part of the effort to crack down on the activities of the I.W.W. 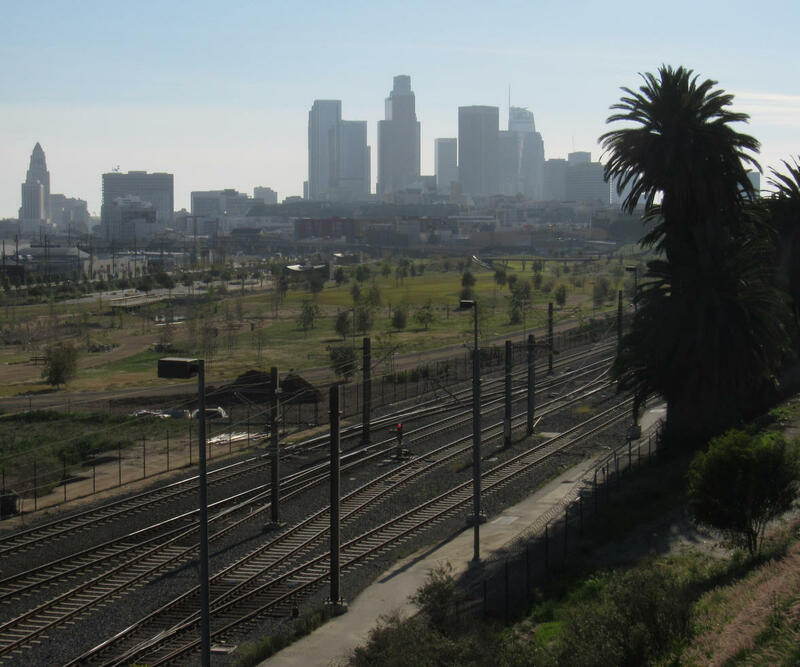 in Los Angeles, the LAPD assigned plain-clothes officers to board freight trains heading into the city, then arrest the hobos and Wobblies who jumped off the trains in the rail yard northeast of downtown. On the afternoon of Tuesday, Feb. 18, 1919, LAPD Det. Sgt. Patrick J. Downey, 35, and his partner, Det. Sgt. Fred Roy Parsons, 33, of the Boyle Heights Station, boarded a Chicago, Milwaukee and St. Paul Railway freight train north of downtown, and headed into the city. (The day before, Downey and Parsons arrested five suspected Wobblies at the rail yard, and all five were sentenced to 10 days in the city jail.) As the train passed the Llewellyn Iron Works on North Main Street, two men jumped off the train. Downey also jumped off, chased the men and arrested them, but one of the men was able to escape. When the freight train reached River Station, two more men jumped off. Parsons chased them, and arrested them both. Downey and Parsons met at a police call box near River Station, to call for assistance with their three prisoners. Parsons saw the man who had escaped from Downey, running through the rail yard, and told his partner, "There goes your man now." Downey left his prisoner with Parsons, and ran after the man, running through a fence around the rail yard, and disappearing behind some freight cars. While Parsons and the three prisoners waited near the police call box, they heard two gunshots. Parsons and one of the prisoners, Louis S. Norman, ran toward the gunshots, while the other two men ran off. Parsons and Norman found Downey lying on the ground, next to the tracks. "He went that way," Downey said, pointing north down the tracks. "Go get him." As Parsons and Norman ran off, a rail yard worker, Ray Burch, went to Downey's aid, loosening his collar and belt, and bringing him water, while other rail workers called for an ambulance. "Well, son," Downey said to Burch, "I fought him as long as I could." Further down the tracks, Parsons and Norman found a frightened switchman, who said a man with a gun had just run past and threatened to shoot him. Unable to find the man, Parsons and Norman returned to Downey. Downey had been shot once in the left upper chest, near his shoulder. The bullet traveled down, passing through his body, and lodging under the skin in his back, between his left shoulder blade and spine. He also had a puncture wound in his head, and bite marks on his hands, indicating a vicious and violent struggle. And Downey’s gun was missing. Downey was taken by ambulance to the Central Receiving Hospital, where he was pronounced dead shortly after his arrival. 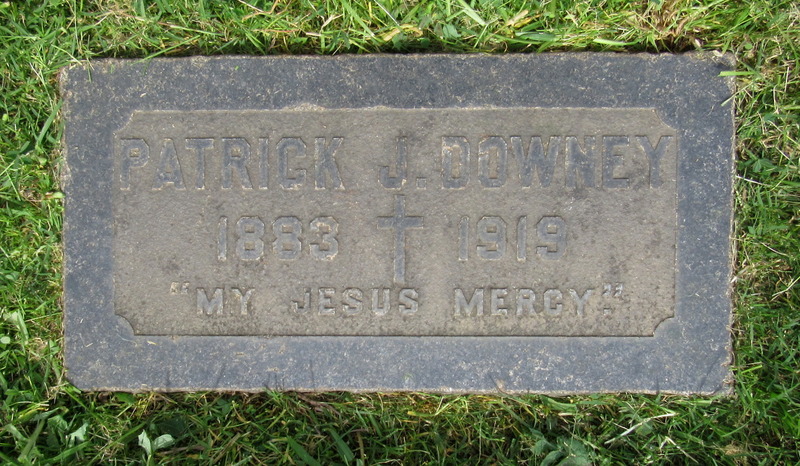 Patrick Joseph Downey was born Sept. 22, 1883, in Ireland. He came to the United States in about 1905 and lived in Southern California, where he married Mary Claire McDonald in September 1909. After their marriage, Downey worked as a foreman in a railroad yard in Indio in Riverside County, before the couple moved to Los Angeles, and Downey joined the LAPD in December 1916. At the time of Downey's death, the couple had three children -- 8-year-old Thomas, 6-year-old Patricia, and 2-month-old Margaret. The family lived at 3552 E. 6th St., in East Los Angeles. After the shooting, officers from the Boyle Heights and Central stations arrived at the rail yard, and found Downey's killer hiding beneath a freight car, holding the slain officer's gun. After a 15-minute stand-off, the killer surrendered and was taken into custody. At Central Station, he was identified by several railroad workers as the man they saw standing over Downey's body after the shots were fired. Downey's killer had recently been released from a state prison in Washington, where he served time following a conviction in 1916 for burglarizing a hardware store. During his arrest, he shot and severely wounded a police detective, who recovered from his injuries. Downey's killer admitted that he was carrying a gun when he jumped off the train, but he said the officer was accidentally shot with his own gun as they struggled. After the shooting, the man said he threw his gun away, and took the officer's gun. Both guns were recovered, and each had fired one shot. The LAPD immediately identified Downey's killer as a high-ranking member of the I.W.W., noting that union leaders were attempting to raise money and were coming to Los Angeles to assist with his defense. In addition to time served in Washington, Downey's killer had also served time in prisons in Nebraska, South Dakota, North Dakota and Minnesota, on charges including assault, burglary and carrying a concealed weapon. After Downey's murder, the LAPD and city officials also warned of an impending invasion by more than 1,000 armed Wobblies into Los Angeles, to stir up labor unrest and violence. "While the I.W.W. situation has not become at all alarming in this county," said LAPD Chief John L. Butler, "I want the public to know that this class of offenders will find scant sympathy in the District Attorney's office. Personally, I detest anarchy and treason, and I propose to deal with such offenses justly, but with unyielding force." Downey's killer was found guilty of first-degree murder, and was sentenced to life in prison. (The Los Angeles Herald noted that the murder, arrest, trial, conviction and sentencing all taking place within just over one month, "probably will establish a record in the criminal history of Los Angeles.") After being initially sent to San Quentin State Prison, Downey's killer was transferred to Folsom State Prison in Sacramento, then to the State Hospital for the Insane in Stockton. Downey was buried at Calvary Cemetery in East Los Angeles, just a few blocks east of the family home. His 28-year-old widow, Mary, and their three young children moved in with Mary's parents, Thomas and Deliah McDonald. Deliah McDonald was a nurse, and her daughter followered her into that profession, working at Los Angeles County Hospital. Mary Downey died in 1972, at the age of 81, and is buried in San Jacinto, in Riverside County. Louis Norman, the man who jumped off the train with Downey's killer, had previously worked at a shipyard in Seattle and a mining operation in Arizona. He told police he was coming to Los Angeles to look for a job, and that he met Downey's killer for the first time a few days earlier in Yuma, Arizona. They met again the day before the shooting in Colton, California, when they boarded the train for Los Angeles. Norman said he didn't know that Downey's killer was armed, or that he was a member of the I.W.W. Norman also told police that he had no connection or sympathy for the I.W.W., and he was not charged.